Dr. Hocott is a Michigan Licensed Psychologist and is the owner of Family Counseling Center. 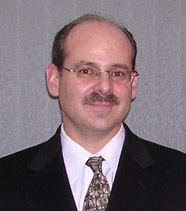 He received his doctorate in Counseling Psychology from the University of Massachusetts. Prior to owning FCC, Dr. Hocott worked as a therapist at an HMO clinic and with Vietnam Veterans at a Veteran's hospital in Massachusetts. After moving to Michigan, he worked with Dave King Ph.D., the founder of Family Counseling Center. Dr. Hocott has been counseling individuals, couples and families since 1987. He has helped those seeking counseling to resolve conflicts, heal dysfunctional relationships, overcome addictions, understand complex problems, manage distressing emotions more effectively and restore a sense of balance to one's life. He has also given presentations on various psychological topics to organizations and churches. He and his wife have two children. Q. Dr. Hocott, how do you find meaning in your work as a psychologist? A. There are two things I am naturally curious about: 1) listening to people's stories and 2) understanding how the brain works to make sense out of life. By listening to people's stories, I can often work with them in finding their voice, to cope with life stress better, to develop a more coherent sense of identity after confusing or painful events, and to create more healthy relationships or repair troubled ones. In people's stories, there are often hidden clues to answers they are looking for, they just can not step back and see the patterns clearly. By studying how the brain works to make sense out of our experiences, it is possible to create a more integrated brain and a coherent mind. Distress that overwhelms us, due to its intensity or duration, disintegrates the brain, causing it to work inefficiently. A reactive brain limits my ability to respond flexibly to the possible choices before me, shuts down empathy, creates flooded emotional states, blocks self-awareness and intuition, and even hinders my ability to act morally (e.g., think of the greater good). A reactive brain puts the "old tapes" of my past in charge, and these tapes determine what I think and do. Learning how to create and maintain a receptive state of brain functioning integrates the brain circuits and generates a sense of well being and wholeness. Neuroscience findings suggest that therapy actually changes the brain into a more highly functioning brain. I find both understanding people and the brain--working with the stories of others to find healing and resolve problems and helping people to understand their brains so that they may maximize their mental resources and cope more effectively with life-sometimes challenging but very rewarding and meaningful activities. I can use what I have learned to make a positive difference in people's lives; and that feels good. Q. Where do you find the strength to deal with other people's pain and suffering you encounter daily? A. When I consider other careers, like an accountant for example, I ask, "How does he or she find the patience to work with numbers all day long? Especially during 1st quarter?" I think the answer is found in doing what God created us to do. We are all endowed with specific talents and gifts, and as long as we live within them, "work" seems less difficult. I see myself as having certain skills and capabilities-some learned and some a matter of my temperament-that allow me to bear witness to very painful experiences of others. And there are times when the pain reaches such levels of severity, like in trauma survivors, that I cannot get it out of my mind. Here is where I resort to my belief that I am not alone. By being who God created me to be, I am merely using the talents He gave to me to help others. When I feel overwhelmed, I pray. I ask for God to give me the fortitude to endure the pain or suffering, or for comfort and peace. I can ask for and receive help, enabling me to go to work another day and do it all over again. I also practice self-care. Q. How do you integrate the science of psychology with Christian values as a therapist at the Family Counseling Center? A. First of all, I believe there is objective truth. I don't claim to know all truth, but I believe it's there, in the nature of all that is, and it is fully rational. So science that seeks to find the truth in our world by examining the essence of person, for example, is not at odds with Christian teaching and morality. I do think there are conflicts that arise between psychology and theology, like when an ideology masquerades as "science" and does not disclose-or is unaware of-its underlying ideology. Good psychology is good science and should merely elaborate upon what God has created. Q. What do you say to clients who are not Christian who seek services from you? A. I would advocate that 'good therapy' benefits everyone. Not everyone comes for help with issues that are inherently religious or spiritual in nature. Not everyone I see is Christian, for that matter. Yet, most people I see benefit from making greater sense of their life, having better or healed relationships, learning tools for coping, relating or changing, understanding how the brain works in ways that directly improve the quality of their lives, etc. Problems are problems; they cause stress in people's lives, contribute to depression, anxiety, loneliness, addiction or avoidance behaviors, and can make us miserable and unable to function like we know we can. If a person is a Christian, I will look for ways to draw upon his or her faith as a resource to foster healing. If they don't subscribe to the Christian faith, I help them with the problems that confront them in the context of their life and value system. My faith allows my patients to know my values and me. By knowing the values of your therapist, you don't have to guess what they are and many find comfort in that. Take for example, my belief that it's usually best to work on and save a marriage. People seek me out because of this bias. Now, I am not rigid here, and I avoid overly reductionistic answers to complex situations. There are situations where remaining married is literally dangerous (e.g., the emotional or physical health of the spouse or the child is at risk). In any case, my patients are assured that I will respect and honor their values, even if I don't share them. If such a disparity between values existed so that therapy would be impeded, I would discuss this directly and likely refer them to someone else to help ensure an effective therapy outcome.